QNAP is one of the more popular vendors in the SMB NAS space along with Synology. At CES, QNAP had a booth with samples of selected lineup members. Moving on to the Intel based lineup, I realised that the tags on top appeared to indicate last year's models. However, I spied something strange on the rear side of some of the units. Take a look for yourself. Were you able to spot it? On the top right corner, we have a HDMI port! Further questioning revealed that the model was actually a new one based on a yet-to-be-officially-released Intel platform. Given QNAP's experience with the media player market and the issues with getting licenses for various A/V codecs, it is logical to assume that they could create a NAS-media player hybrid (though I am not sure about whether it is a value-add that QNAP customers really want). A quick search on the web revealed that Thecus has a similar model lined up. 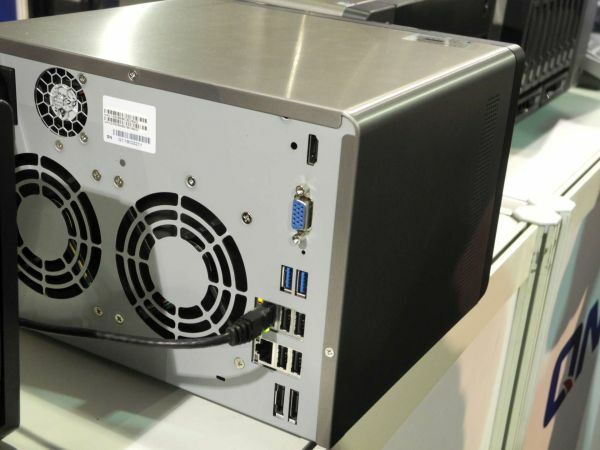 While TweakTown has revealed that it is a faster Atom processor under the hood, it is not clear why both QNAP and Synology didn't want me to write about the specifics. 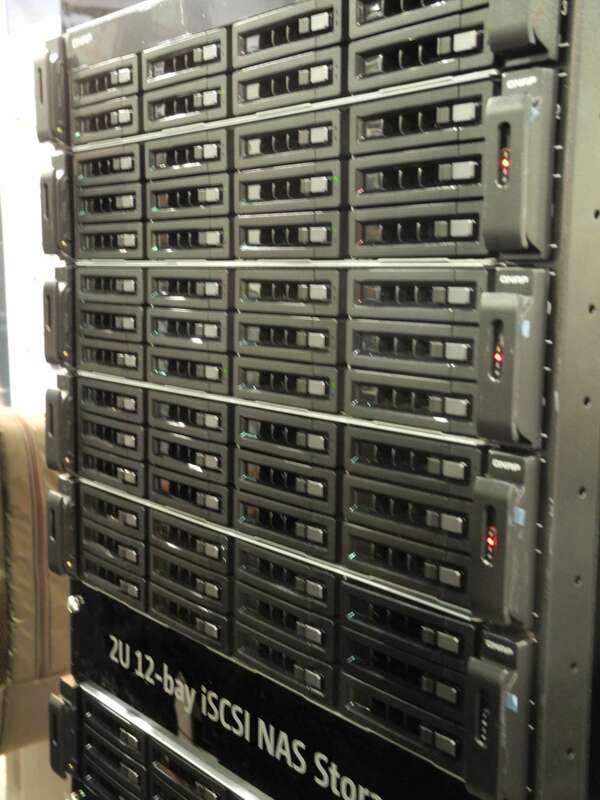 The 2U rack units (TS-EC879U-RP and TS-EC1279U-RP) sport a Xeon E3-1225 processor, and can interface with the JB-1200U-RP storage expansion enclosure. The expansion eclosure supports two high speed SAS ports to enable daisy chaining. 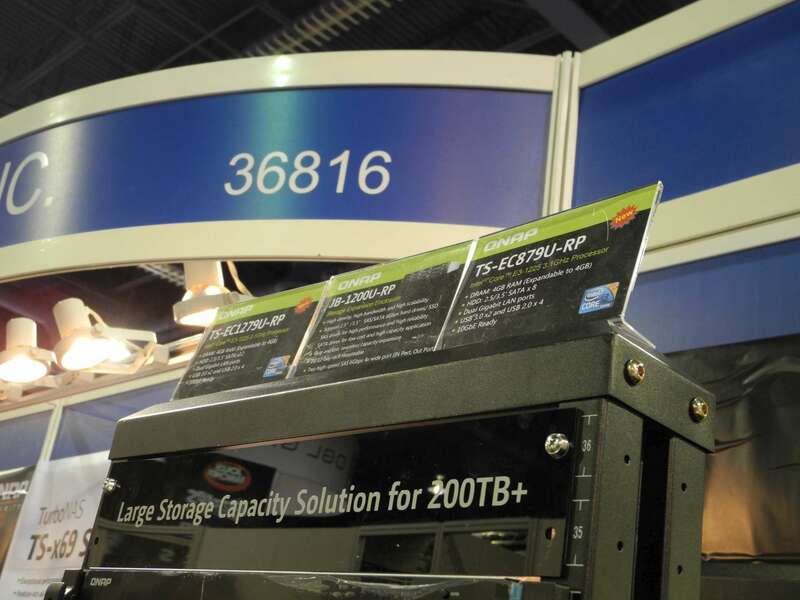 A maximum of 6 expansion units can be strung together for more than 200TB of storage. One of the issues that some readers sent us after the TS-659 Pro II review was a problem with the kernel in the recent Turbo NAS firmware versions. It is good that QNAP has owned up to the issue (also, apparently existing in some versions of Ubuntu according to QNAP). While the recent firmware updates have taken care of a number of issues causing the behavior specified in the above thread, it looks like it will take another quarter at least to fully upgrade the kernel version in the firmware. 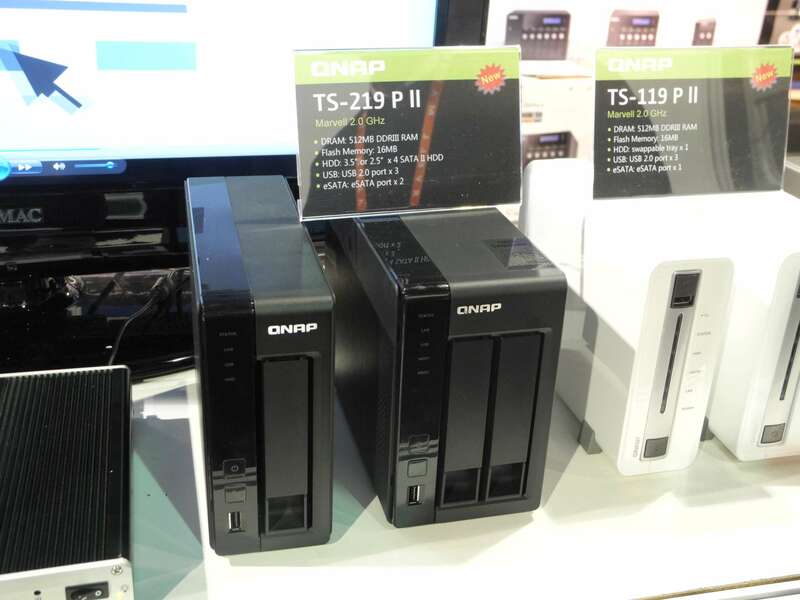 QNAP has earned the trust of consumers by providing quality hardware and consumer support. While I wasn't happy with the initial handling of the issue, I am sure QNAP based NAS systems can be recommended with confidence once the fragmentation / I/O handling issue is resolved fully.